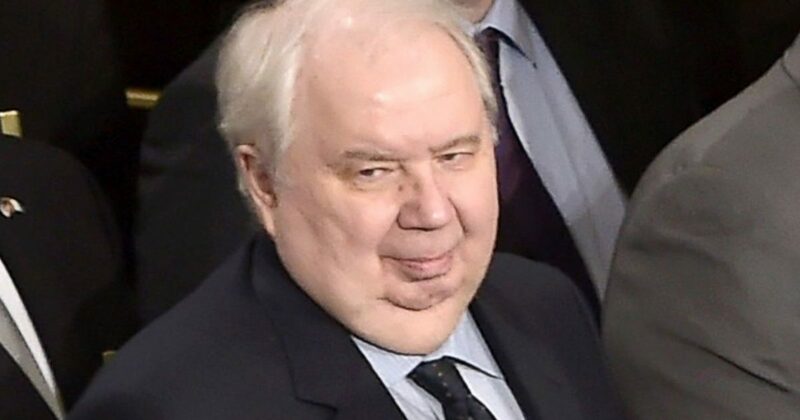 Russian Ambassador Kislyak, who the Democrats and mainstream media are trying so hard to hang around President Trump’s neck, was spotted at the State of the Union Address hanging out with his pals on the left side of the aisle. The Democrats keep shooting themselves in their feet, which are firmly planted in their big mouths. They remind me of Wiley Coyote. No matter how hard they try to destroy President Trump, an anvil always falls on their heads. For all those in an uproar about Attorney General Jeff Sessions meeting with Russian Ambassador Sergey Kislyak, it’s time to check yourselves, says BizPacReview. A photo surfaced on social media on Thursday that showed the ambassador sitting with Democrats when President Donald Trump gave a speech to a joint session of Congress on Tuesday. The ambassador was sitting in the Democrat part of the House. It comes along with other hypocrisy of Democrats that has been exposed. On Thursday Fox News’ Brit Hume tweeted that he has seen Kislyak with Democrat Sen. Dianne Feinstein. And President Donald Trump mockingly called for an investigation into New York Sen. Chuck Schumer after a photo surfaced of him with Russian President Vladimir Putin.